It's been a fun 7 weeks of birthday goodies for us! 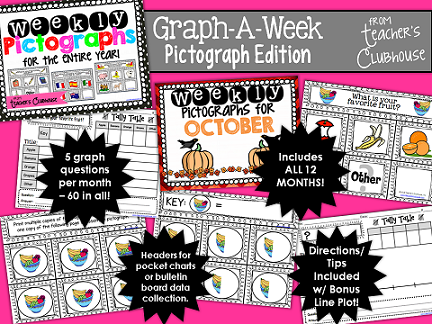 This is our final week and we're giving away our brand new Graph-A-Week: Pictographs Edition resource! It includes absolutely everything you need to help your students master pictographs. 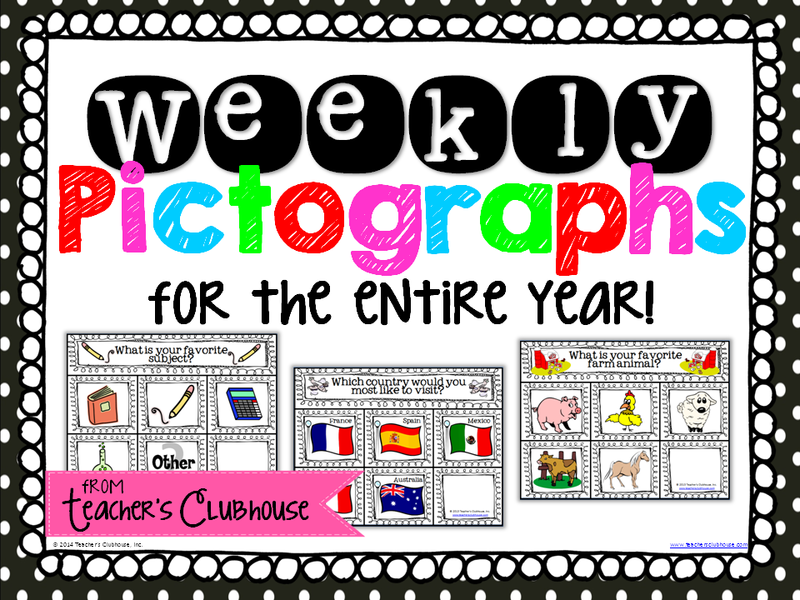 It provides 5 different pictograph options for each month, for a total of 60 pictographs throughout the year! Each graph includes a question card, category cards, whole pictures, half-pictures, and a key card - everything needed to construct pictographs together as a class in a pocket chart or bulletin board. The materials included allow you to count by ones or twos to differentiate for different abilities. Each graph also includes a blank student graph to encourage independent graphing. If you use this pictograph pack (which includes a bonus line plot page) and our Bar Graph Edition of this pack, you can mix-in a variety of graphing each week to ensure your students are experts at data!! 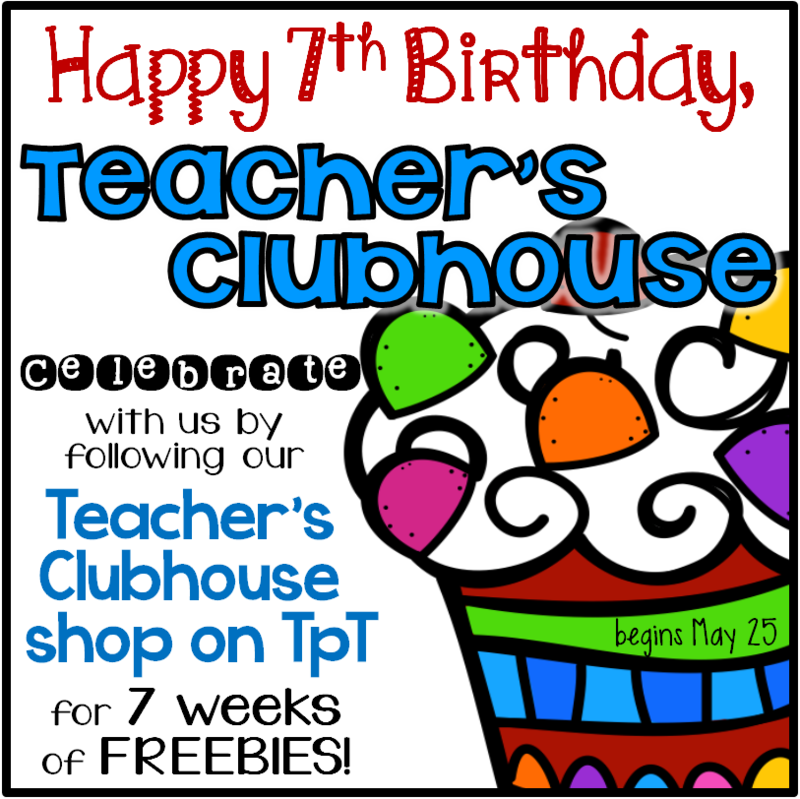 Go grab the freebie and spread the word so all of your teaching buddies can enjoy it! Also, remember to FOLLOW OUR TPT SHOP while you're there so you will receive the BONUS FREEBIE we'll be sending out next week! It won't be available for download in our shop. It will be sent directly to our TpT followers as an extra special THANK YOU for their support! Congrats on 7 years Amanda - and thanks for all of the amazing resources!! 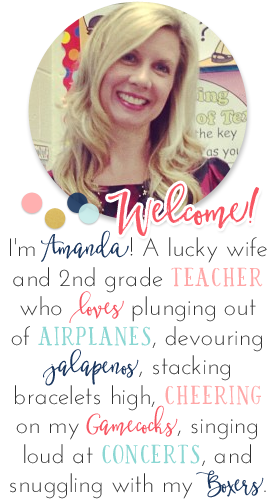 Thanks for all the freebies, Amanda! It's hard to believe it's been 7 years...here's to many, many more! 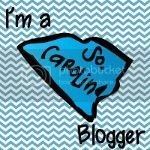 Hi Amanda, I love your blog! I was hoping you might hop over to my blog and enter my giveaway! Thanks! !